Motswiri Camp is on the Selinda Spillway which links the Okavango Delta to the Kwando-Linyanti floodplains. Motswiri Camp is on the Selinda Spillway which links the Okavango Delta to the Kwando-Linyanti floodplains. It’s a good base from which to explore both the floodplains and the forests that line the Spillway. The camp specialises in walking and horse riding safaris and in the dry season you’ll have the opportunity to spend time in the remote fly camp (Kala Bush Camp) which gives you access to less-visited parts of the reserve. At the heart of Motswiri Camp is the mess, a large open plan building with lounge and dining areas. Sitting here you’ll have fine views over the Spillway and its attendant wildlife. At a short distance there’s a secluded sunbathing deck and plunge pool. You’ll dine with fellow guests and your hosts, either in the mess or out in the open air, enjoying lively conversation along with the fine food. The five tents are set along the banks of the Spillway and include a larger family tent. These are traditional canvas safari style tents, comfortable rather than luxurious. All have a bathroom with a shower, hand basin and toilet. There is solar-powered hot water. 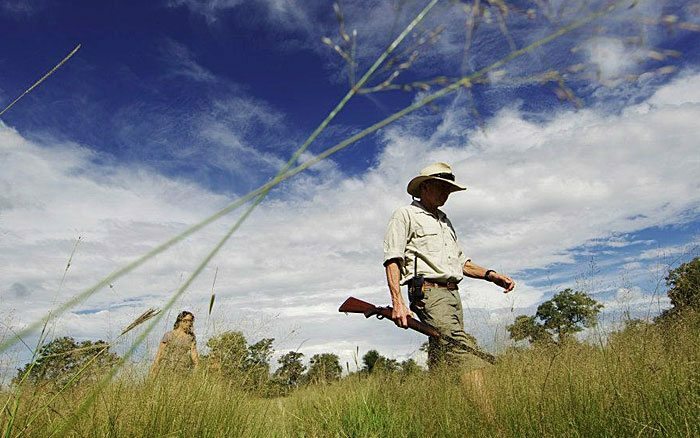 Motswiri specialises in walking safaris, in groups of no more than six guests and you spend time learning how to track wildlife, interpret signs in the bush and study flora and fauna in detail. These safaris can incorporate mokoro and boat rides plus stops for swimming and fishing. 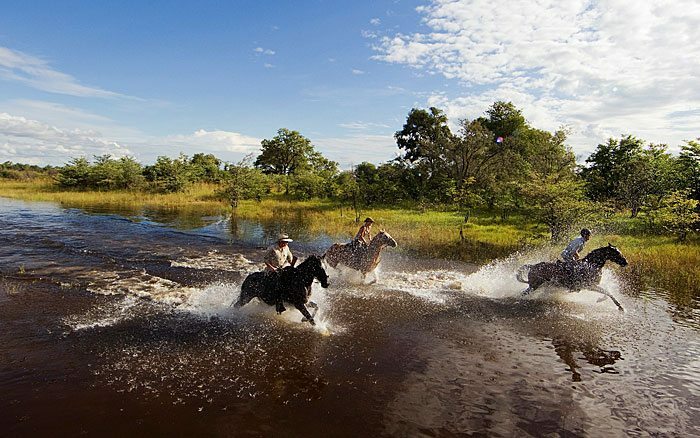 The camp also offers horse riding safaris, usually with a long morning ride and a shorter ride in the later afternoon. This activity is for experienced riders and the camp has its own stable of horses and will match each rider to a horse to suit their level of experience and ability. In addition Motswiri offers game drives and night drives, though depending on water levels, water-based activities may give better wildlife sightings. Children of all ages are welcome and there is a family tent. The minimum age for horse riding is 12 years. Very young children cannot take part in walking safaris. Simple yet very comfortable tented rooms attended by friendly staff.